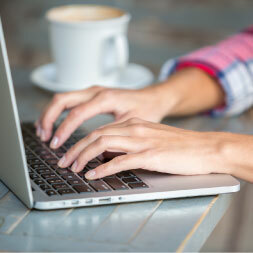 Blogging is a user-friendly and cost-effective marketing tool. It allows you to reach and connect with current and future clients and gives your company a voice, an identity, a brand. It fuels SEO: each blog on your website counts as an indexed page which tells search engines your website is active and consistently updated. Once these search engines have you on their radar, they’ll continue to check in frequently as you post new content. The more active and consistent you remain in posting, the better your rankings on these search engines. As your site begins to show up in searches, you’ll see traffic organically driven to your website. Blogging is your social media account’s best friend. Whether you share the post on your own social media platform or it’s shared by one of your followers, it allows your post (and website) to reach a new audience and gives your company greater exposure. It also brings personalization to your social media account. Whether you are using Facebook, LinkedIn, Twitter or another platform it allows you can share your expertise and knowledge. In a time where people are starting to distrust what they see on the internet, it reminds your viewers there is a person behind the computer. Blogging generates long term buzz. The blog post you write today will continue to receive traffic tomorrow, and for months (sometimes years) to come. Once you publish your post it begins ranking in search engines, driving traffic to your website. For example, if your website was specifically about Attorney Advertising, and you published a blog post sharing tips and tricks for using Excel, someone might search for Excel help and find your post, thus bringing them to your website. Each time this occurs it’s improving your ranking in Search Engines. Since your goal is to rank on page 1 (above the fold!) for searches this is a HUGE asset that continues to benefit you over time. These are just a few examples of how regularly posting can benefit and help you grow your business. Happy Blogging!